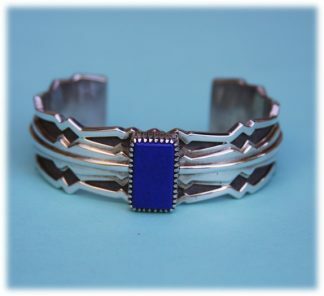 View cart “Byron McCurtain Sterling Bracelet with Lapis” has been added to your cart. 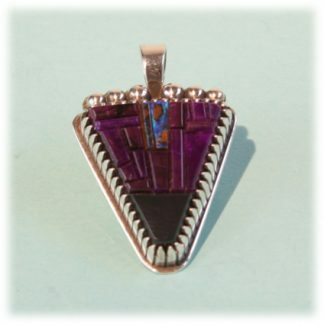 The vibrance of Byron McCurtain’s multi-stone, cushion inlay, coupled with exacting sterling metalwork provides a benchmark against which other jewelry can be judged. 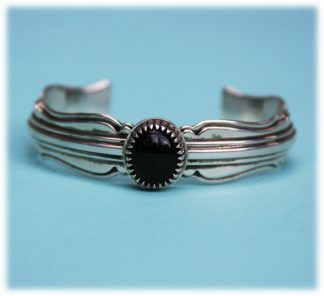 Because of the time required to complete his jewelry, precious few of his bolos, bracelets, earrings, rings, necklaces or pendants are made. 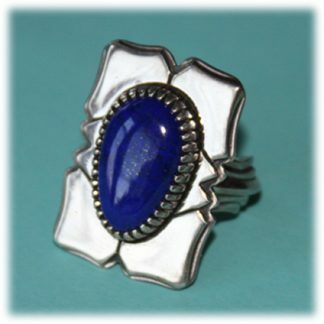 As a lapidarist working alone, Byron painstakingly cuts and polishes semiprecious stone. 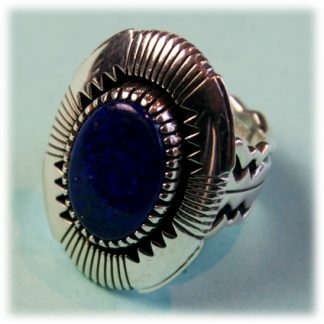 Gripping each tiny rock between his thumb, finger and finger nail, he carefully cuts and then assembles turquoise, red coral, lapis, and his favorite, black opal into pleasing designs. Byron then rounds and polishes the edges of the exposed stone surfaces which enhances the refraction of light and distinguishes his work from more common flat inlay. 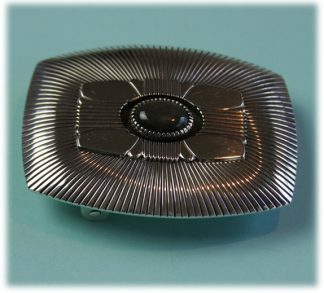 The term cushion inlay refers to the rounded shape of the inlay stones that intersect like cushions on a sofa in Byron’s work. 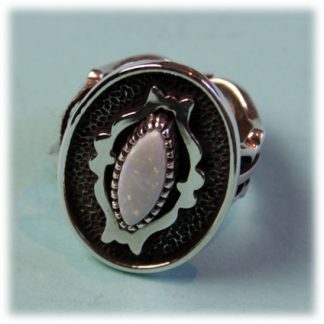 Byron’s master lapidary skills are complemented by his eye for design and outstanding silversmith skills. 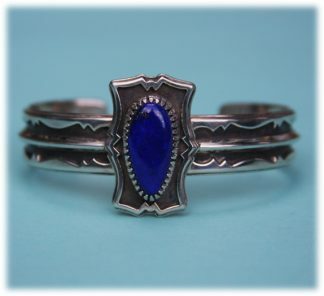 Byron builds impeccable sterling silver mounts and bezels that hold and frame the cut stones. Byron Kent McCurtain, was born on Valentines Day, 1958, in Lawton, Oklahoma. 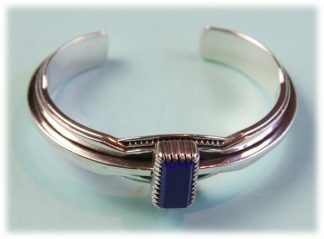 The son of Eula McCurtain, Byron is a descendent of the Kiowa Chief, Lone Wolf and a member of the Botone family clan. In his early years, Byron spent summers with his grandfather by Sugar Creek, near Rainy Mountain southeast of Gotebo, Oklahoma. His grandfather talked about and showed him the Kiowa way to hunt, track, and fish. Byron’s grandfather also made a lasting impression on Byron with his good humor and his urging him to never be afraid. Byron’s artistic talent was publicly recognized when he was only 15 years old in Junior High School with his pen & ink drawings. 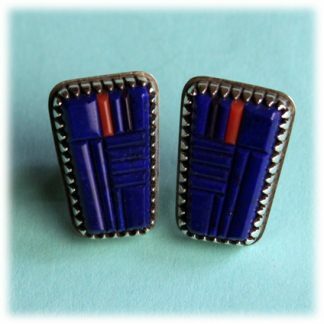 Years later while working at the Dallas Intertribal Center, he was encouraged to attend the Institute of American Indian Art, in Santa Fe. 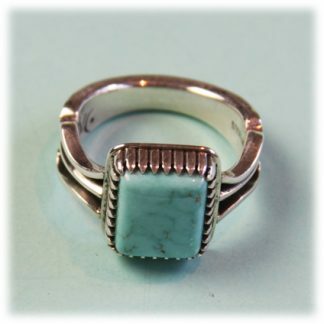 Thus, in 1979, Byron embarked on a new life and entered the Institute of American Indian Art in Santa Fe. 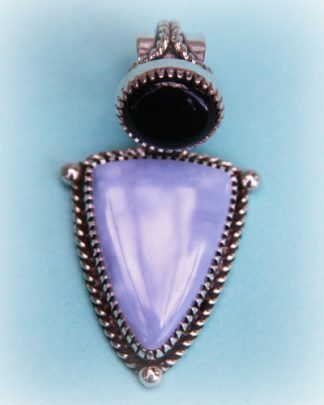 Following his graduation in 1982, Byron began working at Santa Fe Stoneworks, a lapidary and tropical hardwood gift manufacturer. 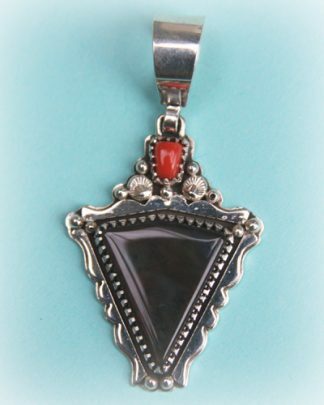 He worked there for two years, learning mass-production stone cutting and finish work which was excellent lapidary training. 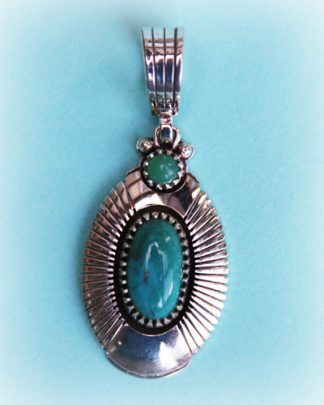 He then apprenticed under Gibson Nez, a notable Navajo silversmith, goldsmith and lapidarist. 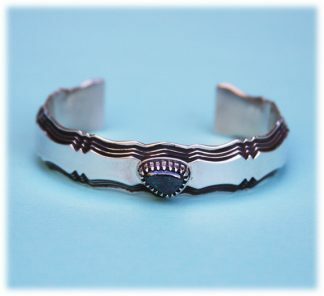 In two years Byron’s skills were refined, but wanting to be his best, he returned to the Institute of American Indian Art in 1985 for a three Dimensional Certificate in Jewelry under the instruction of Milford “Skip” Holbrook. Skip always challenged Byron to do hard work and to this day Byron loves to challenge himself with complicated designs.